ISLAMABAD: Special Adviser to Prime Minister on Accountability Shahzad Akbar said on Sunday that if any evidence is found, then Aleema Khan can face a money laundering case against her. Shahzad Akbar, while speaking at Geo News programme ‘Geo Parliament’, said that if the opposition has any proof against the prime minister’s sister, then they should give it to the National Accountability Bureau (NAB). “In case of submission of tax, the property does not become legal,” he said in reference to Aleema Khan's property. On money laundering, the PM adviser said that Pakistan's Financial Monitoring Unit (FMU) is very weak. He added that the emergence of fake bank account cases raises a question on the efficacy of the State Bank of Pakistan and FMU. To a question that how many accounts have been frozen on government's demand and how much they are going to recover, the PM's aide said that they have calculated a figure of $11 billion under three or four different heads. He said that a lot of cases among these are about money laundering, adding that some of the money has been frozen which belongs to individuals from different walks of life, including politically exposed persons. He said that Earlier, the Supreme Court while hearing a suo motu case on foreign properties owned by Pakistani nationals, directed the Federal Board of Revenue (FBR) to present property and tax amnesty details of Aleema Khan. 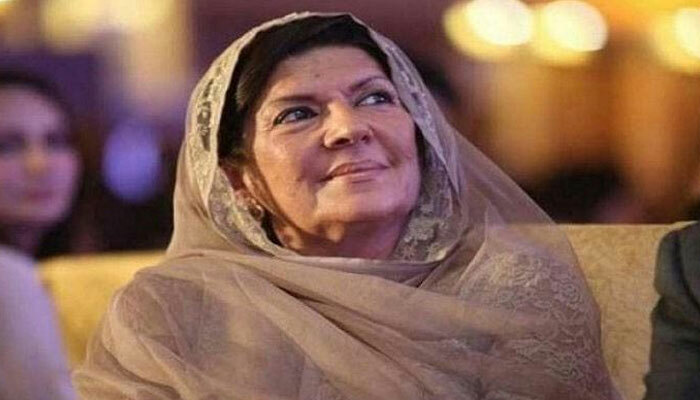 Chief of Justice of Pakistan Mian Saqib Nisar took suo motu notice of Aleema’s property in Dubai on November 28. The chief justice, who was in London to raise funds for building dams in Pakistan, was informally speaking to journalists when they drew his attention to the matter of Aleema Khan’s properties abroad. This month, Aleema deposited half the total cost of her previously undeclared Dubai property with tax authorities as penalty. Aleema paid 25 percent of the total estimated amount of her luxurious flat, "The Lofts East-1406", in taxes and 25 per cent fine charges, officials had said. The prime minister's sister was slapped with a double penalty (taxes and fine) because she did not disclose the said property worth around Rs74 million. The said luxurious flat was located in the heart of Dubai, adjacent to Burj Khalifa, the most expensive area in the United Arab Emirates (UAE), added the officials. Aleema, in her affidavit submitted with the FIA team, stated: "The Lofts East:1460 was paid for from funds generated from my business dealings overseas. Further, I have already disposed of my property and have also informed the FBR about the purchase and sale of the said property." On October 27, the FIA had submitted in the Supreme Court the details of 44 close relatives of prominent political personalities who owned properties in the UAE.